NaNoWriMo — Why so black? For the last several years I’ve been hanging out with the Kitchener-Waterloo-Cambridge WriMos at various write-ins, trying to absorb some writing talent. NaNoWriMo is National Novel Writing Month, in which people (the WriMos) try to write a 50,000 word novel during the 30 days of November. That’s not as ludicrous as it sounds — 50,000 words over 30 days is only 1667 words a day (with 10 days off for good behaviour, at least, 10 days with only 1666 words). 50,000 words is about the size of Brave New World, which someone once told me was the benchmark for NaNoWriMo (but TIL that Brave New World has 64531 words). The first year I participated I got a terrific start on my first novel. All 675 words. Last year I got as far as the novel description. 11 words. But this year I have better idea. I’ve got some unfinished blog posts queued up, so I’ll take their word count, flesh them out, count the word difference, and submit that as my daily writing quota. Of course, it’s possible that I’ll edit more out of an incomplete blog post than I’ll be adding, so there’s a very real possibility of a negative word count. If that keeps up I might end up with a deficit at the end of the month. Let’s see how the NaNoWriMo word counter deals with a Buffer Underflow. See the KWC NaNo calendar, in plain HTML, suitable for printing and framing. Or if you have an Atom/RSS feed reader and want new events to pop up in your news stream automatically there’s an Atom feed. And if you’re looking to chat in these long, lonely November nights, I’m hanging out (all alone, I might add!) in the KW Nano Chat Room. For those of you with an IRC program use the server irc.mibbit.com, select secure (SSL) port number 6697, and tune into channel #kwnano You might be able to click on (or copy’n’paste) the IRC link: irc://irc.mibbit.com:6697/#kwnano to have your IRC program connect automatically. The NaNoWriMo crest has all rights reserved, and so couldn’t be used here. From their FAQ page: Logo: Please do not use our logo (or parts of our logo) on anything without our permission. I’m looking for a free/libre calendar server to run on a GNU/Linux server. It needs to have CalDAV connectivity, so that I can use Evolution, Sunbird or Thunderbird/Lightning as my only client. Ideally, it will also have a Web interface for both administration and calendar viewing, exports to iCal (.ics) files, supports iMIP, and offers Atom/RSS feeds of calendar items. Here’s what I’ve found so far. If you know of others, please leave a comment. 26 September 2013: I’ve started to use ownCloud 5.0 as a calendar repository accessed with Lightning using WebCal. ownCloud doesn’t publish an iCal feed or have a public read-only view, but since it’s Free Software constantly under improvement I’ll stick with it for a while. 9 November 2013: I’m now using Timely All-In-One on some blogs, will be upgrading others. It’s not the perfect iCal plugin, but the best one yet. 9 November 2013: @McScx and @lxw37 both introduce me to Horde. 13 August 2015: Just discovered Blaise Alleyne’s post on Degooglifying (Part IV): Calendar. This is pretty much the same solution I’ve settled on; ownCloud + Thunderbird and Lightning. I’m not quite as advanced as Blaise on the mobile front, though. This is a “living” post, so it will float back to the top of the blog as I update it. After dissing Google Plus I was persuaded to try it out for a while before rendering a verdict. 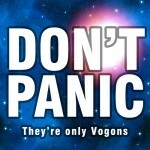 So now it’s been over two months, and my verdict is: Mostly Harmless. When I get home after a hard day of working with a computer, I sit down for a pleasant evening of relaxation with a computer. I read my e-mail, read the news, and read the microblogs. I subscribe to 55 people on Identi.ca, and I follow 84 people on Twitter. Those 139 people generate sufficient 140 character messages to keep me reading until bedtime and beyond. But on my Google Plus account, I have 27 people in my circles. Those 27 people create a lot of large messages. In fact, they generate a lot more content than my 139 Identicats and Tweeple, since Google Plus puts no limit on the size of messages. 22 of the 27 people are in my Tech Circle. But instead of receiving only technical content from these people, they’re posting messages about vacations, favourite bands, philosophy, and yes, pictures of cats. Now, this happens on the microblogs too, but on a microblog it’s limited to 140 characters, and I can ignore them. On Google Plus the posts are much longer, have pictures attached, comments from other people, and those ubiquitous “John Q. Public originally shared this post” and “Click to +1 this post”. Google Plus does not have the tools to filter messages by content, or even a method to collapse a conversation thread. 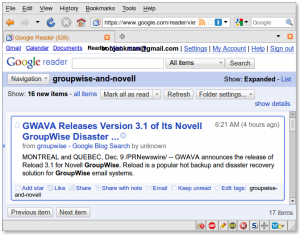 There’s no Atom/RSS feed, so I can’t use my preferred feed reader to analyze, sort and organize my Google Plus message stream. 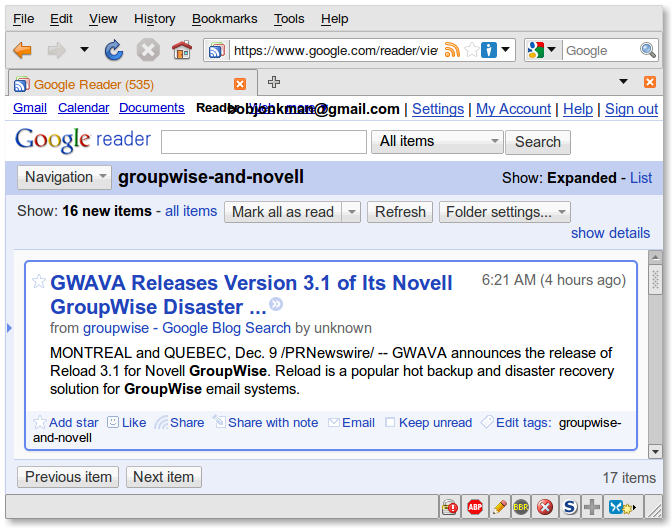 And I don’t know of any third-party applications to read, write and manage content on Google Plus. Google Plus does allow the export of all its content, under Account Settings, Data Liberation. Contact info is in the standard vCard format, suitable for importing into addressbooks. Kudos to Google for giving users useful control of their data. Still, Google also has access to that data, and continues to collect ever more. In the past I’ve recommended Google Mail as a preferred no-cost e-mail host. Recently Google has taken to verifying new users by requiring them to supply a phone number. Google then sends a text message for the user to enter into the registration form. This is a level of data collection that I find creepy, and so I no longer recommend Google Mail. Finally, to top it all off are the Google Nymwars. Much has been written about why Google’s policy of requiring real names is wrong-headed. Some people whom I might follow have stopped using Google Plus because of the nymwar controversy. I think I’ll be joining them in disdaining Google Plus. I think that Google Plus is not the Facebook Killer the folks in Mountain View want it to be. The image 740 – Towel Day – Pattern by Patrick Hoesly is used under a Creative Commons Attribution 2.0 Generic (CC BY 2.0) license.